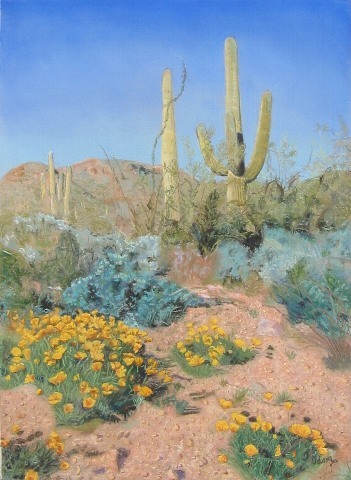 I painted this for my husband who is a great saguaro lover & named the painting. This is spring in Sabino Canyon, AZ, near Tuscon. A contributor to Country Living magazine was kind enough not only to give me permission to use the photo but even sent me a print to work from.